What Is Best-Practice For The ‘Agile Education’ Space? 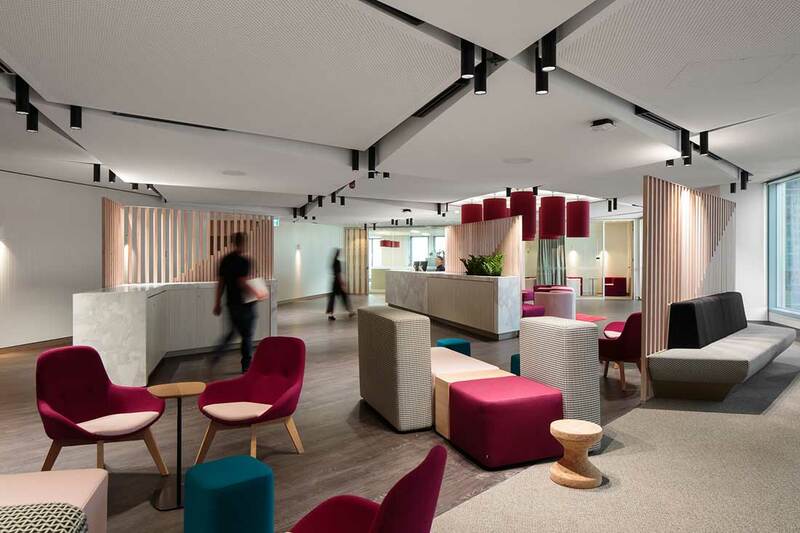 Flexibility is key, and a high priority in many educational facilities, as is the case in this striking fitout for Macquarie University’s Sydney City Campus (MUSCC) ‘Central Hub’, designed by dwp. 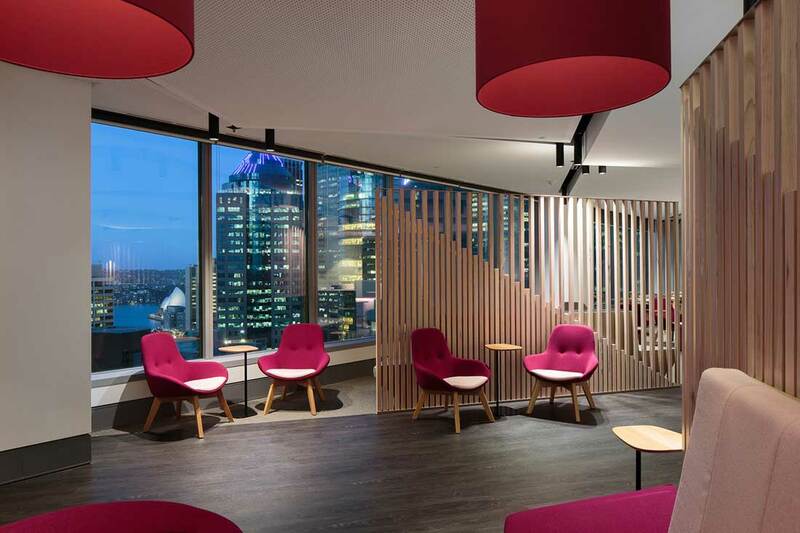 Macquarie University Sydney City Campus (MUSCC) relocated to Angel Place, 123 Pitt Street, Sydney into a new state of the art teaching facility, thanks to the architects and designers of design worldwide partnership (dwp). 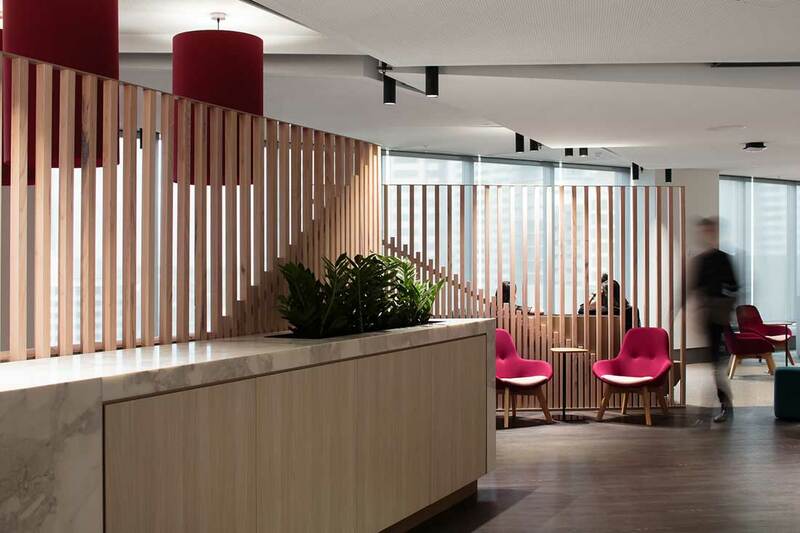 “We wanted to create a premium teaching facility that would underpin the already highly regarded business education provided by Macquarie University and take it to the next level” notes Hilary Spiers, Principal at dwp. One of the major challenges involved with transforming a commercial tenancy into a high quality educational environment, was a ‘change of use’ for the tenancy from workplace to education, a higher building classification which impacted the design and approval process. Offering stunning views in all directions from levels 23 and 24, the 2,700sqm project covered 1.5 floors creating a multitude of spaces including the main reception area, boardroom, formal teaching spaces, syndicate spaces, informal collaboration spaces which are supported by student breakout spaces. The project included a lift lobby upgrade, additional bathrooms and an open plan office space for the staff. 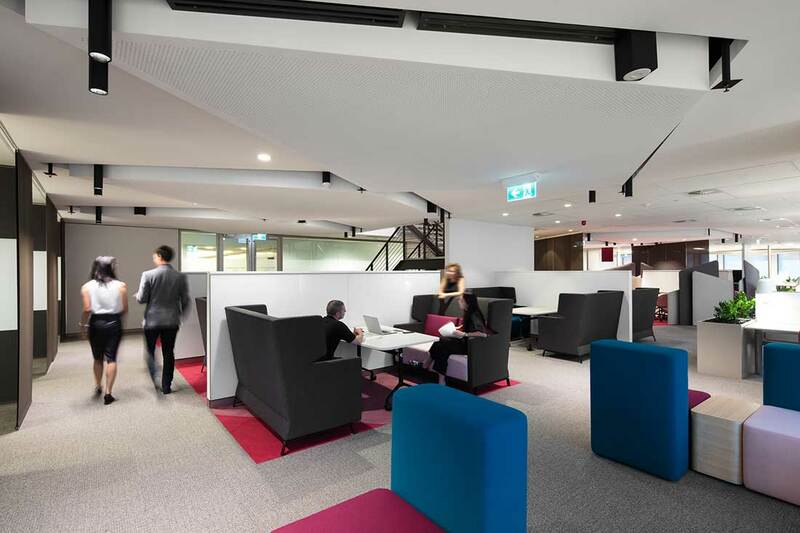 The shared space offers teaching facilities for the Macquarie Applied Finance Centre (MAFC), Macquarie Graduate School of Management (MGSM) and the Faculty of Business and Economics, which occur mainly in the evening as most students work full time. 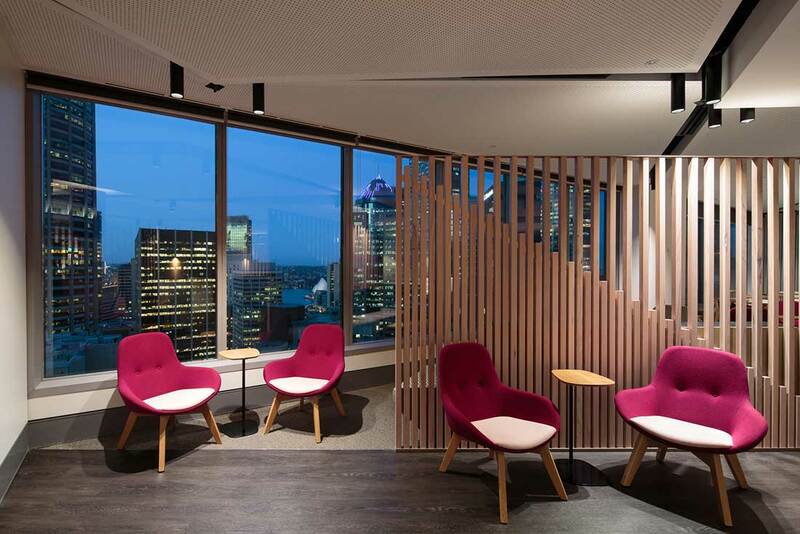 The facility was designed to have multifunctional spaces at its core, used to deliver multimode teaching styles as well as support these faculties and the University in the centre of Sydney. Specific areas, such as reception, waiting and student hub zones, were developed with agility at the forefront, guaranteeing the ability to host functions with varied teaching settings via the use of operable walls and modular furniture. “We wanted flexibility, empowering the students to embrace change,” says Jacqueline Hall, Senior Interior Designer. 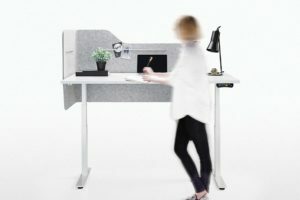 Spaces range from formal to unique, already set up to be available within minutes of shifting a few key pieces around— movable writable surfaces/walls, flexible furniture and the latest audio visual technology. Take the reception area for instance: designed to be easily transitioned and cleared out for functions, most likely business networking events, altering the main desk into a catering area. Areas surrounding the internal stairs are intended to be open and malleable, welcoming multiple teaching styles. 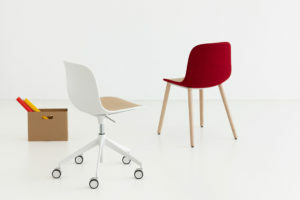 All furniture is modular and designed to move as needed. 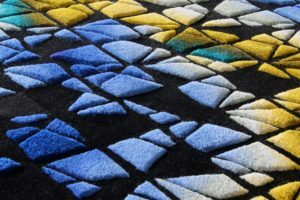 From the moment you enter the facility all the way through to the teaching areas, individual spaces are linked together via a succession of colour, prominent diamond shaped ceiling panels and floor treatments. A reflection of the lighthouse beacon—symbolic to Macquarie University—is witnessed in the use of magenta seen throughout, symbolizing the idea that students navigate their own learning experience. 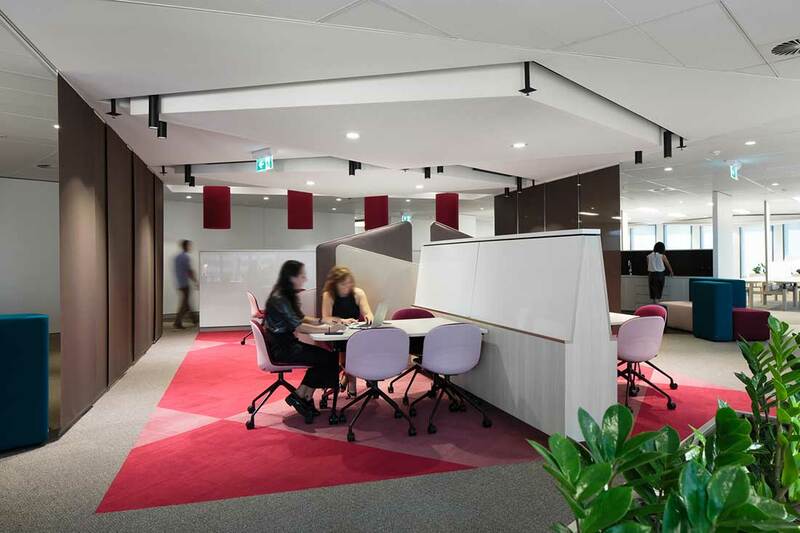 The diamond shaped ceiling panels and lighting is created to reflect significant symbols of the history of Macquarie University. 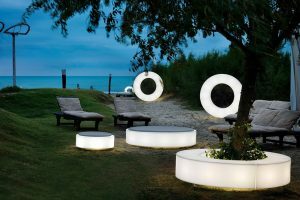 Ensuring a high level of acoustic performance for spaces was paramount to the success of the design. Not only to achieve the highest quality within the teaching spaces and open collaboration areas, but to ensure adjoining tenants were not impacted. 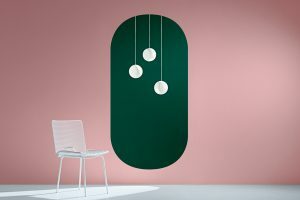 One of the devices used in the design was use of creative acoustic wall panelling to control sound transmission combined with careful coordination of services. 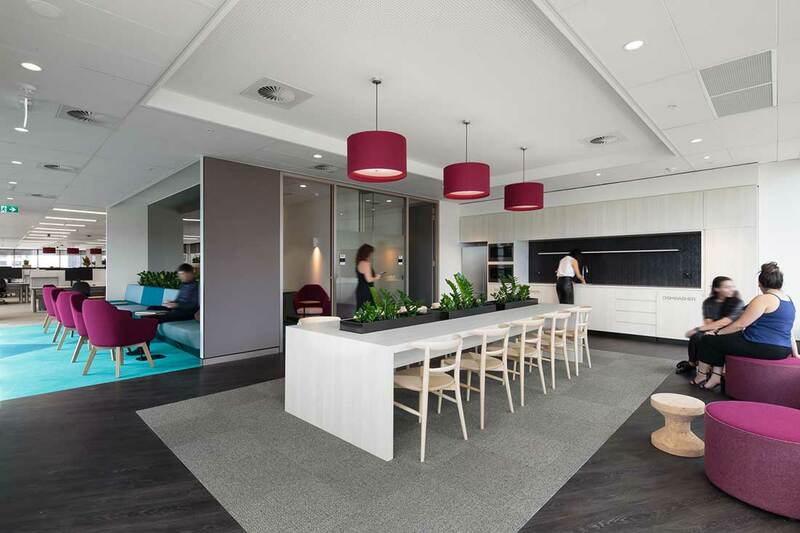 Hilary Spiers says the fitout provides a high quality teaching environment that serves as an attractor for the future business leaders that want to continue their studies. It is an appealing facility to spend extended hours studying as a continuum to their work day, enabling the building of networks and collaborations with like minded people. 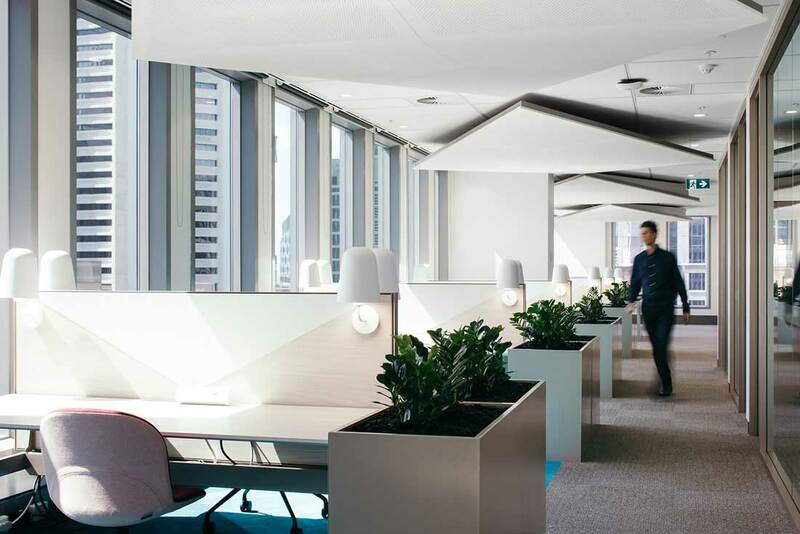 The project was delivered in conjunction with FDC Construction & Fitout (NSW) and Turner & Townsend Thinc.